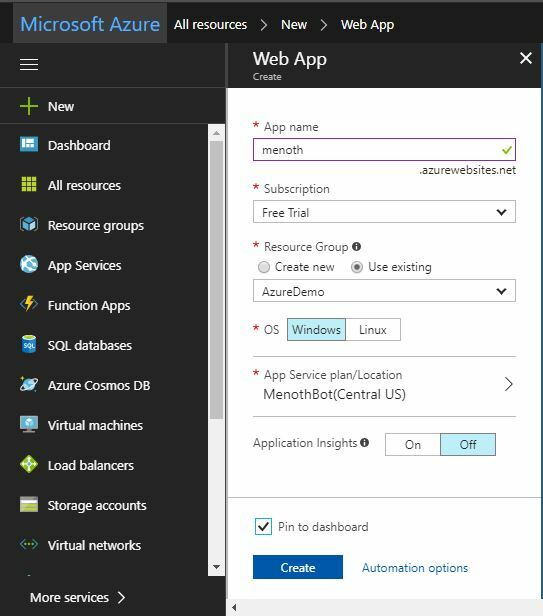 Let's take a look at how to deploy a simple ASP.NET Core web app to Microsoft's Azure cloud with some help from Visual Studio. Nowadays, most people are choosing a cloud platform as their hosting option. For Microsoft cloud lovers like me, that means we select Microsoft Azure as our hosting environment. That’s what this article is here to help with. Before reading this article, you must read the articles below for the right ASP.NET Core knowledge. First, we need to create an account in the Azure Portal. 1. 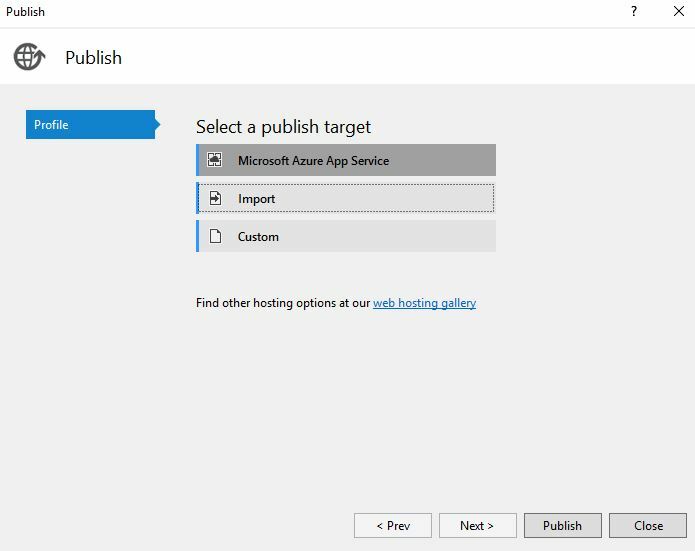 Create an account in the Azure Portal through this link. We need to host our application on a particular domain. Click on “All resources” on the left-side menu. It will open a dashboard with an empty or already-existing list of resources that we created earlier. Click on the “Add” button. It will open another window with multiple options, and we can choose the appropriate option to host our application. As per our requirement, we choose “Web + Mobile” and click on the “Web App” on the right side. That will open another form for our app details to host. We need to give a unique name in the “Appname” section. It will create a subdomain for your ASP.NET Core application. For the subscription, we choose as “Free Trial” because we created a free account in the Azure Portal. We need to host our app resources in a Resource Group. First, we need to create a resource group name in our Azure account. 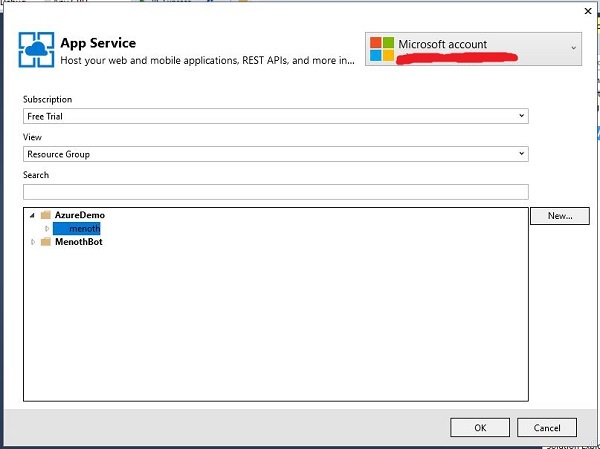 Here, we choose the existing resource group name “AzureDemo” that we are already created in our Azure account. “OS” we selected as “Windows” (as per our requirement). We can create our own App Service Plan name. Click on the “Create” button and wait for the build to complete. Once the build succeeds, then we can see this output. Open Visual Studio, then click on File > New > Project. We created a default ASP.NET Core application (we had made some changes in the UI Section) for the publish process. Right-click on the application and click on the Publish menu. We choose our existing resource group name (that we created! 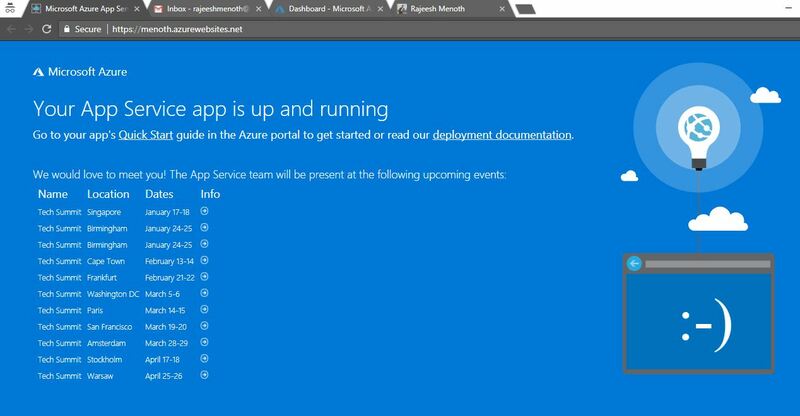 “AzureDemo”) in our Azure Portal. It will display the App Name inside the “AzureDemo” folder. This will display only when we log in through Visual Studio using Azure Credentials (email and password). 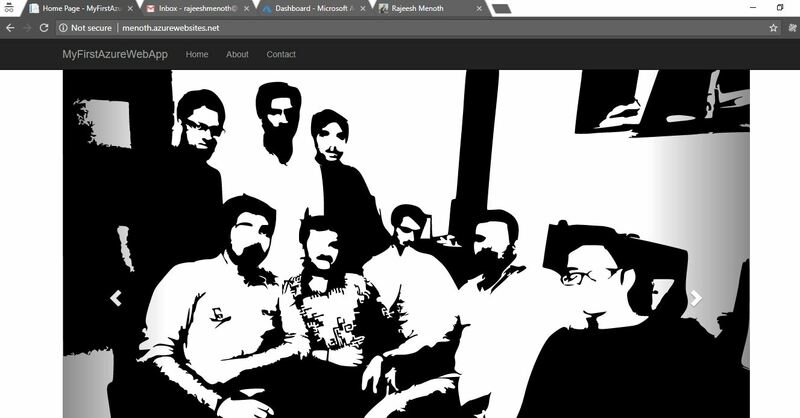 We learned to create and deploy an ASP.NET Core web app in Azure. I hope this article is useful for all ASP.NET Core and Azure novices. You can download other ASP.NET Core source code from MSDN Code using the link below. Published at DZone with permission of Rajeesh Menoth , DZone MVB. See the original article here.